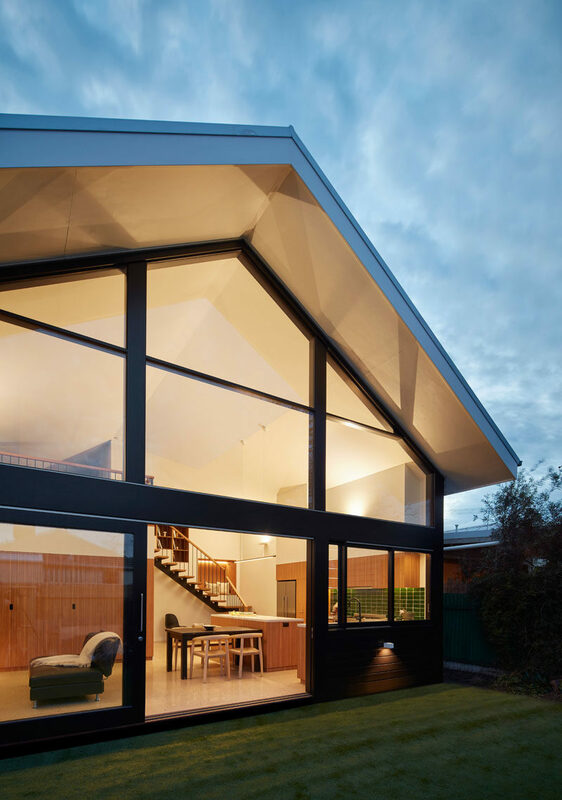 Architecture firm RK-D have designed a modern extension to a house in Melbourne, Australia, that acts as the ‘social’ area of the house and includes a new open plan kitchen and living room as well as a mezzanine level. 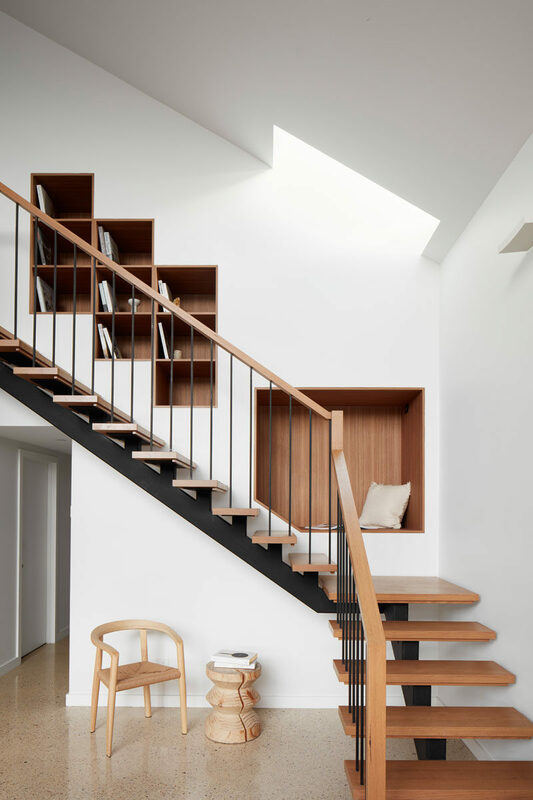 As part of the interior, a staircase was built to access the mezzanine, and instead of having a plain white wall that follows the stairs, the designers included a built-in, wood-lined seating nook and bookshelves. 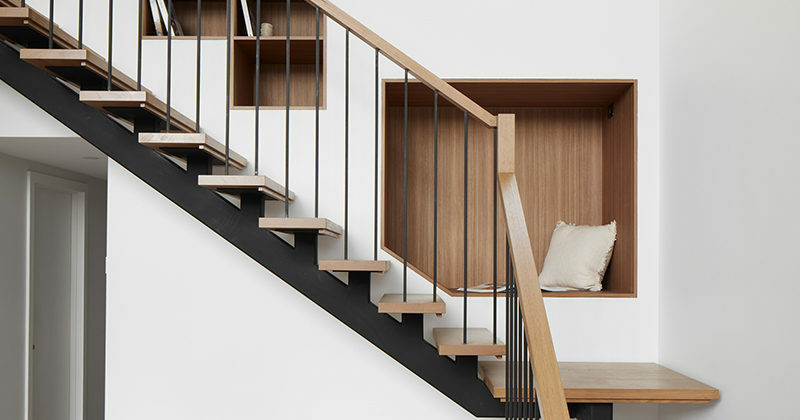 At the top of the stairs, there’s the mezzanine that’s been set up as a study with a built-in desk and skylight.